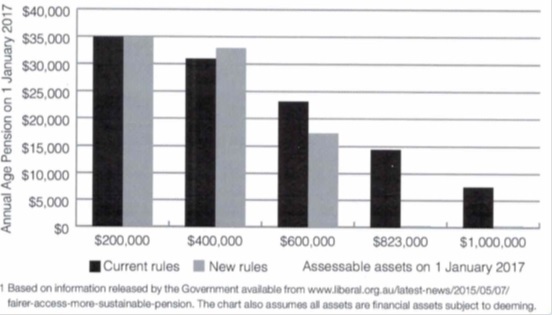 The assets test threshold is the amount of assets pensioners can hold before their pension starts to reduce under the Centrelink assets test. The taper rate is the rate at which the age pension starts to reduce when the level of assets increase. From 2017 the taper rate will increase from $1.50 a fortnight to $3 a fortnight. This means the maximum age pension a pensioner can receive will be reduced by $3 per fortnight for every $1,000 of assets they hold above the assets test threshold. 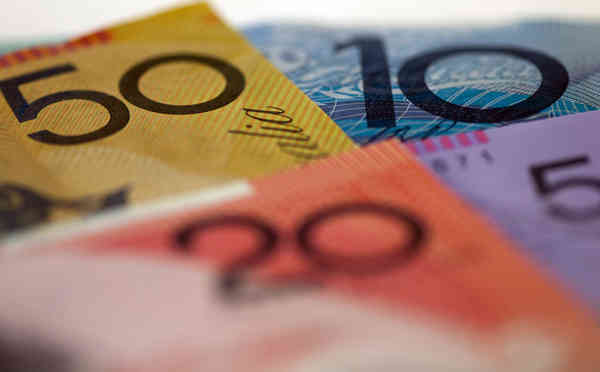 Age pension recipients with assets above the threshold are likely to see a reduction in their age pension – in some cases to zero – as a result of the increased taper rate. Retired couple Betty and John are both 68 years old and own their home. They have $823,000 in total assets and currently receive a part age pension of $500 per fortnight. If their assets remain unchanged on 1 January 2017, their age pension is estimated to reduce to zero (see chart below).